'70s Pop Star Files Bankruptcy | The Law Office of Emil Fleysher, P.A. ‘70s Pop Star Files Bankruptcy | The Law Office of Emil Fleysher, P.A. As accountant and attorney fees have accumulated, 1970s pop star and teen idol Dave Cassidy has filed for bankruptcy. 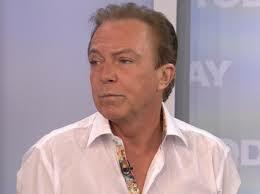 The 64-year-old former teen idol pop star David Cassidy has filed for Chapter 11 bankruptcy in the U.S. Bankruptcy Court in Fort Lauderdale where he owns a waterfront property. Mr. Cassidy reported debts included credit cards bills of almost $40,000, a mortgage of nearly $300,000, and a substantial amount in accountant and attorney fees. Judge Raymond Ray is assigned to the case. Cassidy’s assets and debts are estimated to be between $1 million and 10 million. Although the petition was deemed incomplete due to 16 documents not being presented, the filing did state that Mr. Cassidy owes money to several attorneys and accountants. One attorney who assisted Mr. Cassidy in a settlement over a race horse he owned with his former partner is owed more than $17,000, an accounting firm in Boca Raton is owed close to $15,000, another Fort Lauderdale attorney is owed more than $11,000 and a Fort Lauderdale accountant is owed at least $10,000. This is not including his American Express credit card of well over $20,000 and maintenance fees on the Villa at Polo Towers in Las Vegas where he frequently performed who is owed $1,420. The attorneys who are owed money are not too worried because they believe the law is on their side and Mr. Cassidy does have a multimillion dollar home on the water front. David Cassidy is known for his 1970s television show “The Partridge Family”, and hit songs like “I Woke Up In Love This Morning” and “I Think I Love You”. In Broward County alone, Mr. Cassidy has been a defendant and in 12 cases. Sue Shifrin, his wife, has filed for divorced after his third DUI arrest last year.